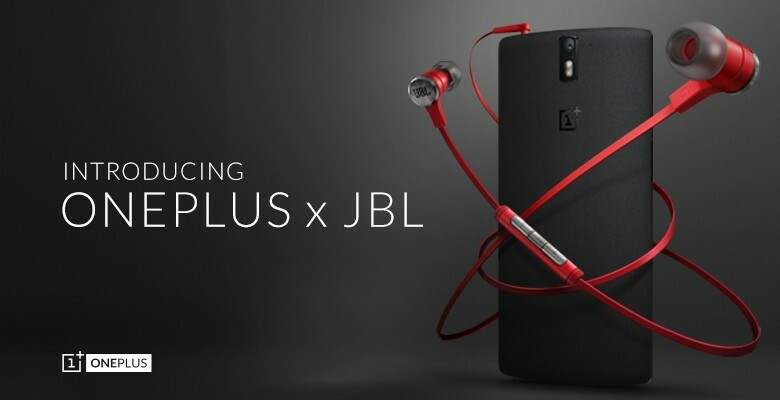 Today, OnePlus is thrilled to announce a partnership with the legendary audio company, JBL. Pioneers in the audio space since 1946, JBL boasts a portfolio of some of the most indelible artists and arenas in the world. Joining the OnePlus family with the arrival of the JBL E1+ Earphones, specifically crafted to enhance the powerful sound of the OnePlus One. JBL has been a leader in the industry for decades, standing out not only for their innovative audio solutions but also their talent for fusing style with incredible performance. The JBL E1+ Earphones are no exception. The lightweight, flat cable is tangle resistant and comes in a brilliant OnePlus red to complement the Sandstone Black back cover. An in-line three button remote, emboldened with the OnePlus logo, includes a microphone and allows for adjusting volume, answering calls, skipping tracks and even taking pictures. Angled no-slip rubber eartubes can be easily swapped for larger or smaller included sizes to maximize comfort and sound. A subtle silver plate sporting the JBL name adorns the opposite side to complete the modern design. JBL E1+ Earphones will be available for purchase in October. Please visit oneplus.net to learn more. Availability : These earphones were designed exclusively for the OnePlus One and will be made available for sale at oneplus.net in October.